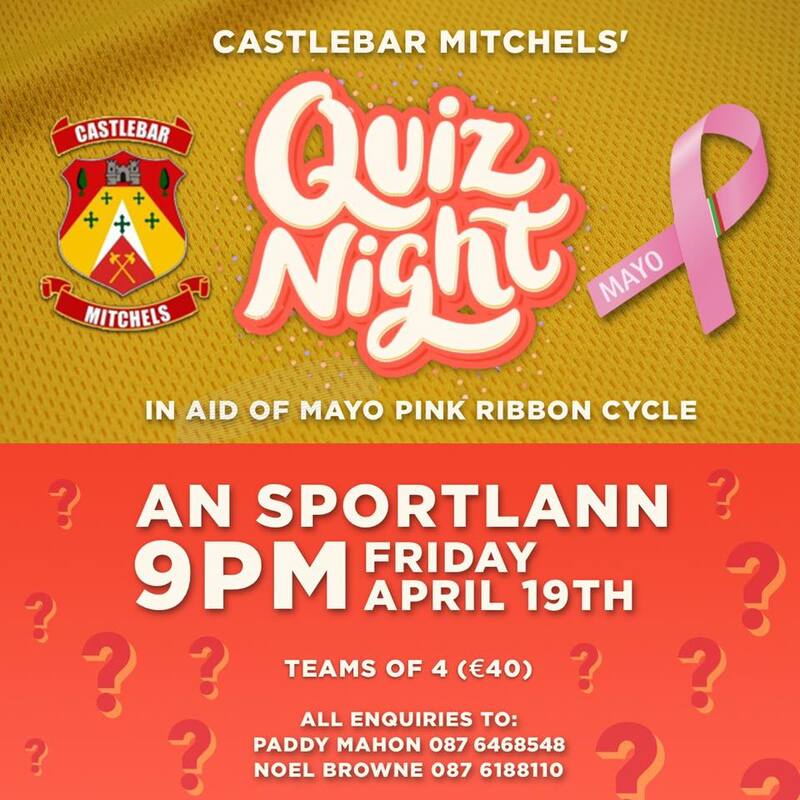 Castlebar Mitchels are holding a charity table quiz in aid of the Mayo Pink Ribbon Cycle. The quiz takes place on Friday, April 19th in An Sportlann at 9pm. €40 per team (table of 4). Please come out and support a very worthy cause.